Workers’ compensation covers both illnesses and injuries that have developed in the workplace. Many occupational illnesses are well-known for their connection to the workplace, such as asbestos-related diseases, PTSD, and radiation-related illnesses. Injuries in the workplace, however, are wide-ranging and can include virtually anything and everything, so long as the injury in question arises during the course of (and as a result of) employment. Here is a look at some of the most common types of injuries that occur in the workplace. Many injuries come as a result of overexertion, and it comes as no surprise, then, that overexertion has consistently been the number-one cause of injury in the workplace. Overexertion can stem from repeated lifting, throwing, pushing, pulling, holding, or carrying—actions which you’ll find associated with many different occupations. According to the 2008 Liberty Mutual Workplace Safety Index, these injuries account for about $3.4 million in workers’ compensation costs annually. Slipping and tripping on same-level surfaces are generally considered another leading type of workplace injury. 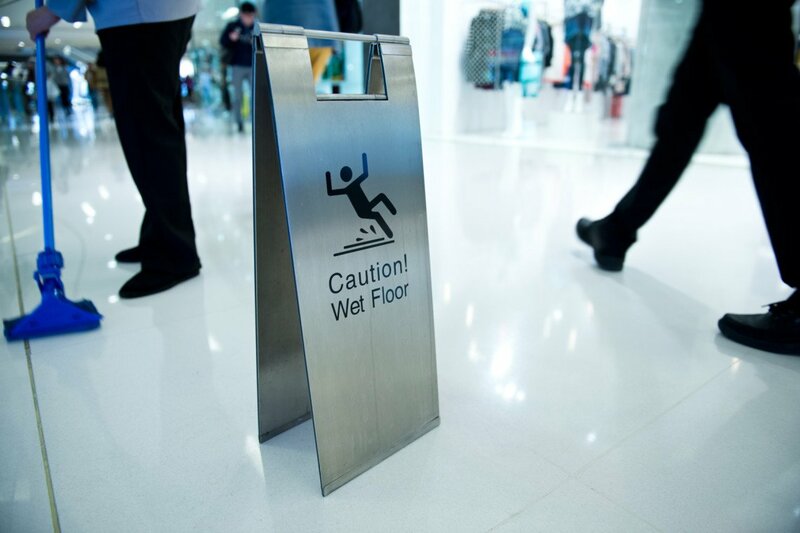 These injuries can result from a wet or slippery floor, or from obstacles lying inconspicuously on the floor. Employers must ensure that spills are promptly taken care of and that floors remain clear in order to prevent these types of injuries. There are also falls from considerable heights to consider. Those in the construction industry, for example, are often at risk of falling from a roof, ladder, or top of a staircase. Falls from heights can result from complete accidents or from faulty equipment. Employers generally implement extensive training, use of protective gear, and regular equipment inspections in order to prevent these types of injuries. Alternatively, an employee might be struck by an object that falls from a shelf or that is dropped by another person. Head injuries are the most common in this class of injuries. Preventative measures generally taken by an employer here include observing proper storage techniques and providing protective gear such as hard hats. Many jobs require using a vehicle, and an automotive accident that occurs on-the-job can result in all sorts of injuries. Employers generally implement safe driving policies and training to help prevent these accidents. This is a type of injury that is most commonly seen in factories and manufacturing plants when clothing, shoes, fingers, hair, or extremities become caught in dangerous equipment. Special equipment protections, dress codes, and protective gear help to eliminate the likelihood of this type of injury. This type of injury is not a result of overexertion but rather of more tedious motions repeated over an extended period of time. Such motions might include typing or using a cash register. These types of injuries can be difficult to like directly to the workplace since they develop over such an extended period of time.